What stops you from getting things done? I mean things like pursuing your dream job, or tackling your debt, or writing that book you have always planned on writing, or getting into shape. The thing that stops me from getting things done is that I tend to procrastinate. And procrastination is usually the result of having a lack of motivation to get things done. And even if the motivation is there in the beginning following through until the end can still be difficult. So what can you and I do to get motivated and stay on track long enough to accomplish all the things that we have always dreamed of doing? Be absolutely clear about what it is that you are trying to accomplish. Do you want to save enough money to travel around the world for a year? Or do you want to pay off all of your credit card debt within the next 18 months? Be very specific about what it is that you want to do. Then focus on what needs to be done to achieve it, and ignore any distractions. Working on individual tasks to achieve a mega goal can seem mundane and boring, and once we get bored we quickly lose our motivation. To stop that from happening to you, you need to know exactly what the end result will look like either through words or with images. If you want to travel, write about where you will go and what you will do. If you want to pay off your credit cards, write about how being debt free will allow you to do so many other things in your life, such as buying a new house, or saving for retirement. You can also create a vision board filled with pictures that you can use to inspire you. Start by writing down all of the steps you need to take to achieve your goal. You created all of the steps that you need to take. Now setup a daily schedule that shows exactly which day you will complete each task. Include on your schedule who you will ask for help. You will find that if you continue to take action and work hard on something you will easily maintain your motivation. Sometimes we have tasks that we need to complete but we can’t do them on our own. If that is the case for you, identify those tasks and figure out who you can ask for help. You may ask a friend or business associate, or you may wish to turn to a business coach, life coach, or credit counselor. Understand when you can do something on your own and when you need to do some research first. For example, if finishing your basement is what you are trying to motivate yourself to do, head to the library to do some research on how to get things done. If possible, speak to experts in the field. Acknowledging our accomplishments is something that so many of us neglect. We are in such a hurry to move on to the next step that we forget to celebrate how far we have come. Or we downplay how much we have gotten done and tell ourselves it isn’t enough. We all need to stop doing that to ourselves. 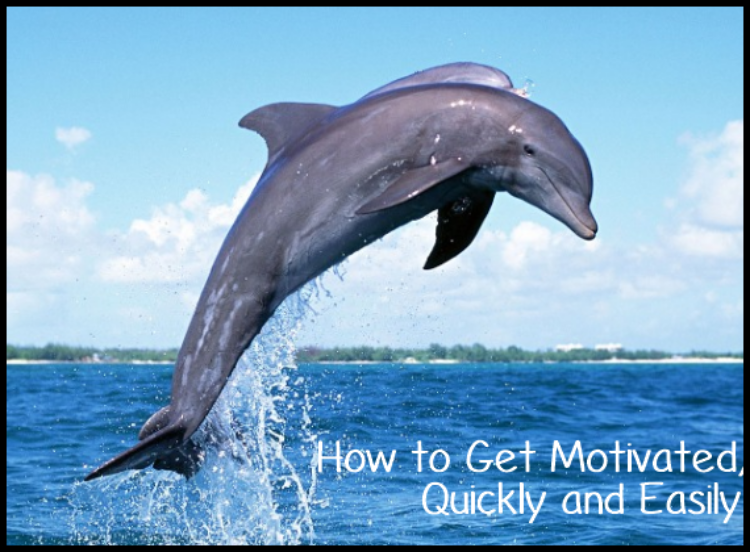 The easiest way to get motivated and stay motivated is to celebrate and have fun along the way. How often do you encounter obstacles and think “oh, just forget it”? That is a perfectly natural response. The trick to staying motivated though is to be prepared for those obstacles before they even happen. As you create your plan list any obstacles that you think you may encounter. Begin to manage these obstacles upfront by listing ways in which you will deal with each one of them. Also include in your plan any people that you may be able to turn to for advice. Then, if an obstacle gets in your way, instead of worrying about it, you can use this information to figure out how to work around it, and quickly move on. Never quit. Always look for solutions instead, and turn your dreams into reality!